Born in Albuquerque, New Mexico, Marion Carrillo was surrounded by music of all genres. Particularly inspired by John Prine, Jackson Browne, Dan Fogelberg, and influenced by troubadours like Todd Snider, Amanda Shires, and Blaze Foley. 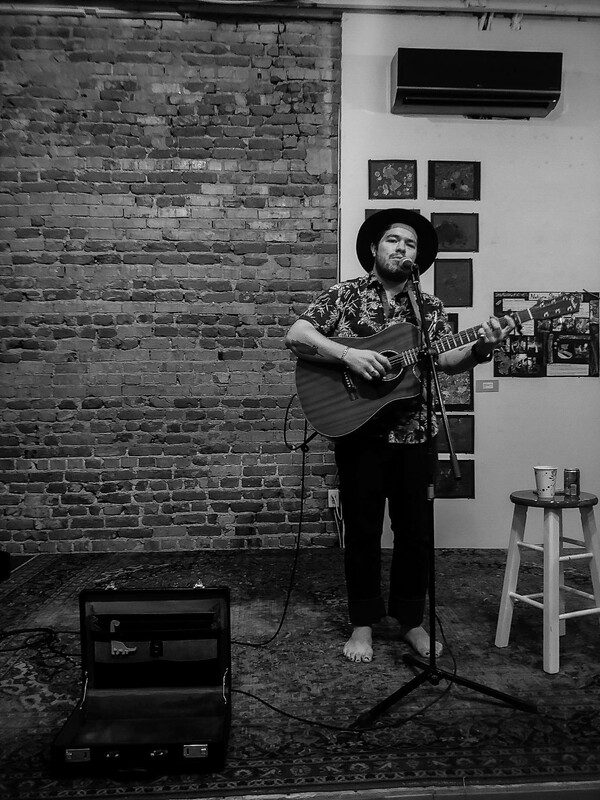 His own music blends storytelling, humor, and honest reflection. Marion has played across the southern United States at venues such as the Devil’s Backbone Tavern in San Marcos, TX and The Flora-bama in Perdido, FL. In October 2018 he made a small debut in London, UK for two nights. Marion currently has one studio album that will be released in Spring 2019 entitled “Full Glory”.